The central bank of any country is usually the driving force in the development of national payment systems. The Reserve Bank of India as the central bank of India has been playing this developmental role and has taken several initiatives for Safe, Secure, Sound, Efficient, Accessible and Authorised payment systems in the country. The Board for Regulation and Supervision of Payment and Settlement Systems (BPSS), a sub-committee of the Central Board of the Reserve Bank of India is the highest policy making body on payment systems in the country. The BPSS is empowered for authorising, prescribing policies and setting standards for regulating and supervising all the payment and settlement systems in the country. The Department of Payment and Settlement Systems of the Reserve Bank of India serves as the Secretariat to the Board and executes its directions. The Reserve Bank has taken many initiatives towards introducing and upgrading safe and efficient modes of payment systems in the country to meet the requirements of the public at large. The dominant features of large geographic spread of the country and the vast network of branches of the Indian banking system require the logistics of collection and delivery of paper instruments. These aspects of the banking structure in the country have always been kept in mind while developing the payment systems. Use of paper-based instruments (like cheques, drafts, and the like) accounts for nearly 60% of the volume of total non-cash transactions in the country. In value terms, the share is presently around 11%. This share has been steadily decreasing over a period of time and electronic mode gained popularity due to the concerted efforts of Reserve Bank of India to popularize the electronic payment products in preference to cash and cheques. Since paper based payments occupy an important place in the country, Reserve Bank had introduced Magnetic Ink Character Recognition (MICR) technology for speeding up and bringing in efficiency in processing of cheques. Later, a separate High Value Clearing was introduced for clearing cheques of value Rupees one lakh and above. This clearing was available at select large centres in the country (since discontinued). Recent developments in paper-based instruments include launch of Speed Clearing (for local clearance of outstation cheques drawn on core-banking enabled branches of banks), introduction of cheque truncation system (to restrict physical movement of cheques and enable use of images for payment processing), framing CTS-2010 Standards (for enhancing the security features on cheque forms) and the like. While the overall thrust is to reduce the use of paper for transactions, given the fact that it would take some time to completely move to the electronic mode, the intention is to reduce the movement of paper – both for local and outstation clearance of cheques. 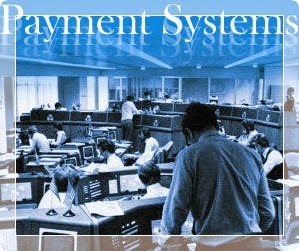 The initiatives taken by RBI in the mid-eighties and early-nineties focused on technology-based solutions for the improvement of the payment and settlement system infrastructure, coupled with the introduction of new payment products by taking advantage of the technological advancements in banks. The continued increase in the volume of cheques added pressure on the existing set-up, thus necessitating a cost-effective alternative system. The Bank introduced the ECS (Credit) scheme during the 1990s to handle bulk and repetitive payment requirements (like salary, interest, dividend payments) of corporates and other institutions. ECS (Credit) facilitates customer accounts to be credited on the specified value date and is presently available at all major cities in the country. During September 2008, the Bank launched a new service known as National Electronic Clearing Service (NECS), at National Clearing Cell (NCC), Mumbai. NECS (Credit) facilitates multiple credits to beneficiary accounts with destination branches across the country against a single debit of the account of the sponsor bank. The system has a pan-India characteristic and leverages on Core Banking Solutions (CBS) of member banks, facilitating all CBS bank branches to participate in the system, irrespective of their location across the country. Next to NECS, RECS has been launched during the year 2009.RECS, a miniature of the NECS is confined to the bank branches within the jurisdiction of a Regional office of RBI. Under the system, the sponsor bank will upload the validated data through the Secured Web Server of RBI containing credit/debit instructions to the customers of CBS enabled bank branches spread across the Jurisdiction of the Regional office of RBI. The RECS centre will process the data, arrive at the settlement, generate destination bank wise data/reports and make available the data/reports through secured web-server to facilitate the destination bank branches to afford credit/debit to the accounts of beneficiaries by leveraging the CBS technology put in place by the bank. Presently RECS is available in Ahmedabad, Bengaluru, Chennai and Kolkata. The ECS (Debit) Scheme was introduced by RBI to provide a faster method of effecting periodic and repetitive collections of utility companies. ECS (Debit) facilitates consumers / subscribers of utility companies to make routine and repetitive payments by ‘mandating’ bank branches to debit their accounts and pass on the money to the companies. This tremendously minimises use of paper instruments apart from improving process efficiency and customer satisfaction. There is no limit as to the minimum or maximum amount of payment. This is also available across major cities in the country. This retail funds transfer system introduced in the late 1990s enabled an account holder of a bank to electronically transfer funds to another account holder with any other participating bank. Available across 15 major centers in the country, this system is no longer available for use by the general public, for whose benefit a feature-rich and more efficient system is now in place, which is the National Electronic Funds Transfer (NEFT) system. In November 2005, a more secure system was introduced for facilitating one-to-one funds transfer requirements of individuals / corporates. Available across a longer time window, the NEFT system provides for batch settlements at hourly intervals, thus enabling near real-time transfer of funds. Certain other unique features viz. accepting cash for originating transactions, initiating transfer requests without any minimum or maximum amount limitations, facilitating one-way transfers to Nepal, receiving confirmation of the date / time of credit to the account of the beneficiaries, etc., are available in the system. RTGS is a funds transfer systems where transfer of money takes place from one bank to another on a "real time" and on "gross" basis. Settlement in "real time" means payment transaction is not subjected to any waiting period. "Gross settlement" means the transaction is settled on one to one basis without bunching or netting with any other transaction. Once processed, payments are final and irrevocable. This was introduced in in 2004 and settles all inter-bank payments and customer transactions above ` 2 lakh. CCIL was set up in April 2001 by banks, financial institutions and primary dealers, to function as an industry service organisation for clearing and settlement of trades in money market, government securities and foreign exchange markets. The Clearing Corporation plays the crucial role of a Central Counter Party (CCP) in the government securities, USD –INR forex exchange (both spot and forward segments) and Collaterised Borrowing and Lending Obligation (CBLO) markets. CCIL plays the role of a central counterparty whereby, the contract between buyer and seller gets replaced by two new contracts - between CCIL and each of the two parties. This process is known as ‘Novation’. Through novation, the counterparty credit risk between the buyer and seller is eliminated with CCIL subsuming all counterparty and credit risks. In order to minimize the these risks, that it exposes itself to, CCIL follows specific risk management practices which are as per international best practices.In addition to the guaranteed settlement, CCIL also provides non guaranteed settlement services for National Financial Switch (Inter bank ATM transactions) and for rupee derivatives such as Interest Rate Swaps. CCIL is also providing a reporting platform and acts as a repository for Over the Counter (OTC) products. Pre-paid instruments are payment instruments that facilitate purchase of goods and services against the value stored on these instruments. The value stored on such instruments represents the value paid for by the holders by cash, by debit to a bank account, or by credit card. The pre-paid payment instruments can be issued in the form of smart cards, magnetic stripe cards, internet accounts, internet wallets, mobile accounts, mobile wallets, paper vouchers, etc. Subsequent to the notification of the PSS Act, policy guidelines for issuance and operation of prepaid instruments in India were issued in the public interest to regulate the issue of prepaid payment instruments in the country. The use of pre-paid payment instruments for cross border transactions has not been permitted, except for the payment instruments approved under Foreign Exchange Management Act,1999 (FEMA). Mobile phones as a medium for providing banking services have been attaining increased importance. Reserve Bank brought out a set of operating guidelines on mobile banking for banks in October 2008, according to which only banks which are licensed and supervised in India and have a physical presence in India are permitted to offier mobile banking after obtaining necessary permission from Reserve Bank. The guidelines focus on systems for security and inter-bank transfer arrangements through Reserve Bank's authorized systems. On the technology front the objective is to enable the development of inter-operable standards so as to facilitate funds transfer from one account to any other account in the same or any other bank on a real time basis irrespective of the mobile network a customer has subscribed to. Presently, there are over 61,000 ATMs in India. Savings Bank customers can withdraw cash from any bank terminal up to 5 times in a month without being charged for the same. To address the customer service issues arising out of failed ATM transactions where the customer's account gets debited without actual disbursal of cash, the Reserve Bank has mandated re-crediting of such failed transactions within 12 working day and mandated compensation for delays beyond the stipulated period. Furthermore, a standardised template has been prescribed for displaying at all ATM locations to facilitate lodging of complaints by customers. There are over five lakh POS terminals in the country, which enable customers to make payments for purchases of goods and services by means of credit/debit cards. To facilitate customer convenience the Bank has also permitted cash withdrawal using debit cards issued by the banks at PoS terminals. The PoS for accepting card payments also include online payment gateways. This facility is used for enabling online payments for goods and services. The online payment are enabled through own payment gateways or third party service providers clled intermediaries. In payment transactions involving intermediaries, these intermediaries act as the initial recipient of payments and distribute the payment to merchants. In such transactions, the customers are exposed to the uncertainty of payment as most merchants treat the payments as final on receipt from the intermediaries. In this regard safeguard the interests of customers and to ensure that the payments made by them using Electronic/Online Payment modes are duly accounted for by intermediaries receiving such payments, directions were issued in November 2009. Directions require that the funds received from customers for such transactions need to be maintained in an internal account of a bank and the intermediary should not have access to the same. Further, to reduce the risks arising out of the use of credit/debit cards over internet/IVR (technically referred to as card not present (CNP) transactions), Reserve Bank mandated that all CNP transactions should be additionally authenticated based on information not available on the card and an online alert should be sent to the cardholders for such transactions. The Reserve Bank encouraged the setting up of National Payments Corporation of India (NPCI) to act as an umbrella organisation for operating various Retail Payment Systems (RPS) in India. NPCI became functional in early 2009. NPCI has taken over National Financial Switch (NFS) from Institute for Development and Research in Banking Technology (IDRBT). NPCI is expected to bring greater efficiency by way of uniformity and standardization in retail payments and expanding and extending the reach of both existing and innovative payment products for greater customer convenience. Oversight of the payment and settlement systems is a central bank function whereby the objectives of safety and efficiency are promoted by monitoring existing and planned systems, assessing them against these objectives and, where necessary, inducing change. By overseeing payment and settlement systems, central banks help to maintain systemic stability and reduce systemic risk, and to maintain public confidence in payment and settlement systems. The Payment and Settlement Systems Act, 2007 and the Payment and Settlement Systems Regulations, 2008 framed thereunder, provide the necessary statutory backing to the Reserve Bank of India for undertaking the Oversight function over the payment and settlement systems in the country.